In a week when our minds are focused on gun violence, I do not think it inappropriate to reference my continuing (small) contribution to efforts to reduce gun violence, as they specifically relate to the behavior of law enforcement. Some of you will know that my interest in US policing habits began after a rather unusual SWAT ‘evacuation’ of an occupied building in sleepy Chapel Hill, NC in 2011. I spent several months monitoring and making contributions to the Community Policing Advisory Committee of the Chapel Hill Town Council. And then set out to encourage the Board of Aldermen of neighboring Carrboro, NC to consider my concept of ‘Citizen Design of Policing.’ Which is pretty much what it sounds like: allowing ordinary citizens to be involved in the design of the rules of engagement which local law enforcement use to police their communities. As a consequence, I was invited to participate in Carrboro’s inaugural Citizen Police Academy. I participated. I made a nuisance of myself. Learned a lot. Talked a lot. Sent them some of my thoughts in written form. And may have made something of an impression. Since I was just sent a survey, in advance of their fifth such academy, to be staged next Spring. I set out below the comments I made in an e-mail, in addition to completing their pro-forma survey. And then I include a comment in response. I do not attach the name of the author of the responding e-mail. I’m not sure of the status of the survey. And I do not want to get anyone into trouble. 1) Focus less on telling us about generalities of police work, constitution, etc. We can get that from a book. 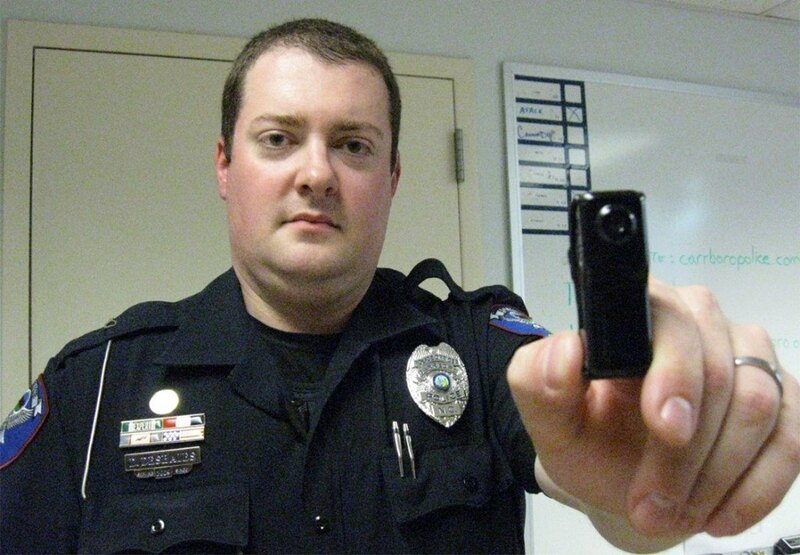 2) Present us right way with several bodycam videos, where police have had to make instant decisions to use guns in very immediate circumstances. Let us know from the get-go how stressful the job is. 3) Get attending policemen and policewomen out of uniform. One to a table. Break down the ‘them’ and ‘us’ the minute we walk in the door. 4) Focus more on telling us why you do the job; your love of the job; its stress; your desire to serve. Make yourselves people who care. Who stick together, because you have to have each other’s backs. How much this can separate you from ordinary people, because you never know who is going to pull a weapon. 5) Be right upfront about the loss of trust over the past few years. Talk about bad apples. Tell us bluntly why you are not. Ask what we would recommend to rebuild the trust. 6) Allow conversation at the end of each section. Get people talking. 7) It’s also a ‘show.’ Use your dog handlers. They are hilarious. C’mon. Even you guys know they are a breed apart. It makes you human. 8) More time (two hours, not one) on role-playing. Let ordinary people make the decisions you have to make. 9) Stop being defensive. You love your job. You want to help people. Tell us that. You do a great job. There are bad apples. Something has broken down. It is not all on you. Sell yourselves to us. Don’t apologize for who you are. II) Police Training needs to change. There needs to be more focus on containment and negotiation, rather than command presence and suppression. You shout at people, and make it an offense not to respond to shouting, you are going to have incidents. I know this will require more officers, more cars, more equipment, more training. I know this will cost more money. And ordinary citizens need to be told this, if it is what they want. “Thank you for taking the time to send me this email. I can assure you that as we have progressed the program, many changes have been made; several from the list below. For example, the last academy had almost 3 hours of role play, which included our new Meggitt’s training system which focuses on training de-escalation techniques. We encourage talking during and after each presentation and have included many videos that illustrate how quickly a situation can become “deadly”. My personal approach to discussing police work is up front and honest, as I believe avoiding the elephant in the room does not help anyone. I post this to illustrate a few of things that I have been saying through the course of this week. Reducing gun tragedies in the US is not a one-dimensional process. It’s not just about one or two pieces of legislation. It requires a multi-dimensional approach, which considers all the steps necessary to limiting hate and violence in society, and the resulting gun culture. It is not a signature legislative effort alone that will make progress. It is the combined effort of all of us to change a view that says that we in the US need to have an AK-47 mounted over the mantelpiece. That will take time. Hard work. And many hours of boring, unglamorous, backroom, sleeves rolled-up, nit-picking minutiae. Like attending Citizen Police Academies, writing notes, standing up at meetings, and completing surveys. That’s how you effect real progress, real change. I have little time for photo-opportunity, headline-grabbing advocacy by mindless protest. I believe in advancing solutions that might make matters better. I am truly sorry for Keith Scott and his family. As I am for all individuals who have to suffer the consequences of violent death. Our systems of government and civil order are not perfect. But, until we change them through the channels and by the means that our communities have evolved since the founding of this country, then they are the systems that apply to all of us. However unfair or unequal some of us may view them to be. I spent some time recently advocating, as effectively as one man can, for a change in the way that policing policy in the US is devised and implemented – Citizen Design of Policing. But, here’s the thing. How many people, whether in my immediate community of Carrboro, NC, where I specifically attended the inaugural Citizen’s Police Academy, back in 2015, so that I could address that concept, face-to-face with Carrboro police officers. How many of my fellow citizens in Carrboro, or anywhere else in the US, who may have read my posts, how many of them have taken any steps to change policing policy in their communities? As opposed to raising a fist at a football game? What I regard as a truly realistic pathway to allow communities to design the manner in which they are policed exists right now. It requires no new legislation. No new governmental bodies. No new funding. Just the will of citizens to demand of the elected officials commanding the allocation of resources to police authorities that those elected officials immediately make the allocation dependent on those police authorities understanding that, henceforth, their rules of engagement will be defined by those allocating the resources, on behalf of the local citizenry, and with the involvement of concerned citizens. It really is as simple as that. Yet. As much (or, as little) as I have advocated. What movement has there been among the citizenry of Carrboro, NC – my current hometown? What plans advanced by the Carrboro Board of Aldermen? Why is Carrboro important, in the greater scheme of things? Other than the fact that many within this highly liberal borough are today extremely vocal about events three hours down the road. Other than that fact, it isn’t. Unless you agree with my oft-stated position that, if we were to experiment with a concept like Citizen Design in a small community like Carrboro, we might then be able to export the successful notion to more at-risk communities around the US. That would be an achievement far more effective than a raised fist, a tweet, a photo opportunity or a CNN-headlining flash mob. Now. Citizen Design alone will not change everything. One thing I learned during my advocacy and while engaging in quite proactive conversation at the Carrboro Police Academy is that all US police training is based on suppression, not de-escalation. Literally, the rules of engagement in any confrontation between citizen and police officer are designed on the basis of command suppression. The police officer is trained to create a command presence. Shouting commands to the citizen to comply with the commands. Lack of obedience is then used as the trigger for escalation. Leading to use of force to bring the confrontation to an early close. In fact, we had one quite interesting exchange in one of the experiential scenarios in which we engaged after some eight hours of the Academy. My police officer team-mate ‘shot’ a fake perpetrator, as I was engaged in talking to the perpetrator. We had a quick review afterwards. To be honest, I liked those of my hometown officers who participated. We were on first name times. The discussion was vigorous, but respectful. And that is the way it should be. I made only a quick point. There was not time for more. But I stated that, if we had more time, I would argue that the shooting of the perpetrator was wrong. My team-mate said that the shooting was standard policy. The perpetrator was threatening a police officer (me). I countered that, although the perpetrator had initially advanced towards me, the advance had halted when I took a deliberate step back. I was no longer in immediate danger. And the call should have been mine. I had my ‘gun’ drawn, and was fully capable of protecting myself. I believe the latter to be a standard policing approach in, for example, the UK. Where it is the belief that most perpetrators generally are not attempting to threaten wider society, but merely to carve out a place of safety. Allow them a heavily-defined area of safety. And one can de-escalate the situation by containment. I’m not sure I convinced my team-mate in that one brief exchange. But I did two things. I began a conversation. In which all who truly care about policing should be engaged. And I fully understood the consequences of what I believe to be the current misguided thinking behind US police training. Namely, that we are going to have many more instances of contested police shootings as long as training emphasizes suppression over containment and de-escalation. Now. Looking to the wider picture. And to thoughts which may well unsettle some folks. We all have a responsibility for civil order in our communities. We may not like the manner in which law enforcement is legislated in our society at the moment. But it is a form of enforcement that has been evolved by communities using the existing channels of legislation and government. If we want matters to change, then we use those channels and advocate for change. In the meantime, we should all commit ourselves to make the existing system of enforcement work. We should all get stuck in. We do not stand to one side. Yelling, screaming and rioting. Let me make that point even more clear. And I may be contradicting what I have said in the past. I am not saying don’t yell and scream. In the immediate moment. I am saying, don’t stand to one side. Commit. Make that moment of law enforcement work. As best we can. Understanding that all humans are, well, only human. Which means that. Sometimes. When the situation arises. When we personally are faced with an immediate challenge. In a law enforcement scenario that thrusts itself upon us. Very often the outcome will be one which depends upon our personal commitment, our personal morality and our personal investment. And so. Whether it leads to outrage or not. I’m going to say it. If Keith Scott’s wife had truly wanted to protect her husband, she should have run over, put her own life at risk for her husband and inserted herself between the police officer and her husband. She should not have stood by taking a video. Keith Scott’s wife had enough time to make a decision. And she chose to take a video rather than saving her husband’s life. That in no way exonerates the police. That does not lessen my revulsion at rules of engagement which can only lead to confrontation and death. That does not remove responsibility from the police for their actions. But, as a statement, it does place upon Keith Scott’s widow the responsibility that is hers alone. We as a society are responsible for what we do and what we don’t do. We are responsible when we support the existing status quo, which allows police to suppress not de-escalate. And we are supporting that status quo when all we do is raise a fist, rather than actively involving ourselves in the processes that give effect to change. Police are responsible for their actions. They are responsible when they draw a gun. They are responsible when they fight back against citizenry attempting to take control by designing the policing policy in their community. And Keith’s Scott widow is responsible for the decision she made. To take a video. Rather than running to the aid of her allegedly mentally unwell husband. I’m not sure what it is. Too much social media? Too many technological advances? Too much life by instant celebrity? I truly do not know. But it seems to me that we have become a society of bystanders, passers-by. We do not achieve. We ape. We do not commit to our own advance. We watch the virtual ambitions of others. We do not seek substantive gain. Merely fifteen minutes of personal celebrity. There is much about our society at the moment which just leaves me puzzled. Much about our politics. Much about our elections. And much about this horrible episode in Charlotte, NC. But of one thing I am reasonably certain. We are where we are not because one side is wrong and the other side is right. Not because one person or group of people did something terrible. And the rest of us are exonerated. But because we have all of us allowed our own personal moral compasses to become terribly corrupted. Before we look to excoriating others, we might better look to wondering about our own actions, inactions and thought processes. On an aside. And because I know you want to know. The medical problems persist. More tests today. Sigh. But the brain is still working. And I wanted to get this up. I had earlier heard from Carrboro, NC Alderman Damon Seils that the Third Carrboro Community Forum on Policing had been postponed until December. I have now heard that it is being further postponed, while the Carrboro Police hold a number of smaller neighborhood forums, in an attempt to make contact directly with neighborhoods with which they feel it is most necessary to be making progress. The Carrboro Police Chief reported to the Carrboro Board of Aldermen on this and other matters at their meeting on November 24. You can read and view here (agenda item near the bottom of the list; ‘Update on Policing in Carrboro’). In the meantime, I attended the pilot one-day Citizen’s Police Academy on Saturday, October 24, which was extraordinarily useful. I would recommend it to all who are truly interested in improving the relationship between police and citizens. All in all, where I am at the moment, with respect to my own learning curve, the issues being addressed, what is still happening in the country, where I am is that I am of the opinion that this matter is way more complex than originally I thought. Plus, I have no certainty what exactly are my own plans this next year. So. I thought I would get my thoughts down in writing and share them. I have done this by producing a little document, which you can read for free on the Lulu publishing platform. Let me know if you have difficulty reading that document for free, which you do by reading the Preview. I was having a little difficulty myself. But I did eventually work out how to do it! Essentially, I am now taking the view that improving the relationship between police and citizens (not so much in Carrboro, where we can experiment, but certainly nationally, where matters are toxic) boils down to changing police training. The problem with police/citizen interaction is not so much the occasional bad apple, as it is the whole approach taught in police training. One of command presence, demanding commands be followed, and then escalating police response when commands are not complied with – not when threat is necessarily present, but when commands are not complied with. If we are to de-escalate interaction, and reduce the possibility of misunderstanding and over-reaction, I think we need completely to redesign training and to make provision for the necessary extra personnel, equipment and resources required in support. What I express in more detail in my document is whether or not I feel that we can actually address that process all on our own in Carrboro. If I am still available, it is certainly my intention to address the issues I raise in my document when the Third General Community Forum is held. If not, it may well be for others who feel the same way to take this forward. Good luck to us all!! Just heard from Carrboro, NC Alderman Damon Seils, via Carrboro Police Chief Horton, that the third Carrboro Community Forum on Policing will, in fact, on this occasion, be held in the OWASA community room. Beginning at 7.00pm, on Wednesday, October 28th. See you there! You might think that, with my advocacy of Citizen Design of Policing, I’m something of a latecomer to the whole issue of race and policing. Not so much. 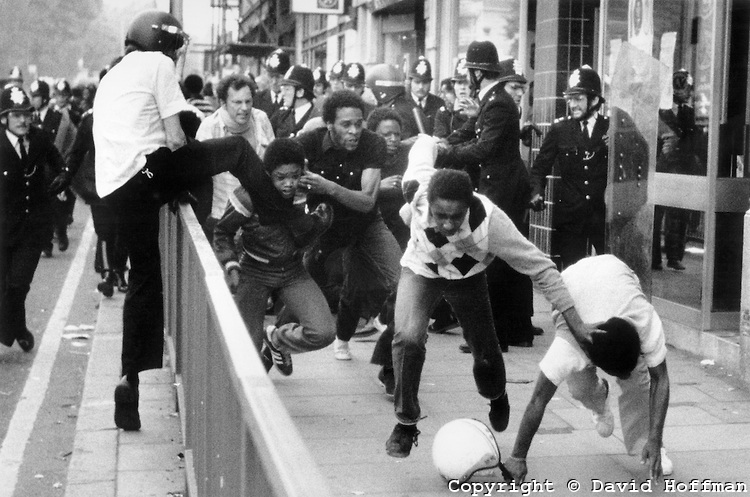 Way back in 1981, I served as an Assistant Counsel with the Scarman Inquiry, the body commissioned by the then government of Margaret Thatcher to investigate the race riots which had occurred in Brixton, South London earlier that year. At that time, I worked for my mate, Hugh Simmonds, the subject of the book I keep touting all over the place [maggieshammer.com]. His law firm, in turn, acted for the diocese of the Methodist Church which ran the youth center generally considered to be at the epicenter of the riots. Our primary contribution to the proceedings was twofold. First, Hugh ran a brilliant series of cross-examinations, which established a principle which later became standard protocol in police training. Namely, that reported crimes increase when an exercise is undertaken to target a location with police officers, not because of an increased incidence of crime, but because of the increased numbers of police reporting crime. Seems obvious now. Wasn’t in Great Britain back then. Secondly (and this was all me, folks – three days and nights, and thousands of photographs), the police maintained that their approach throughout the riots had been defensive only. Standing passively behind body-length shields, in full and recognizable police uniform. 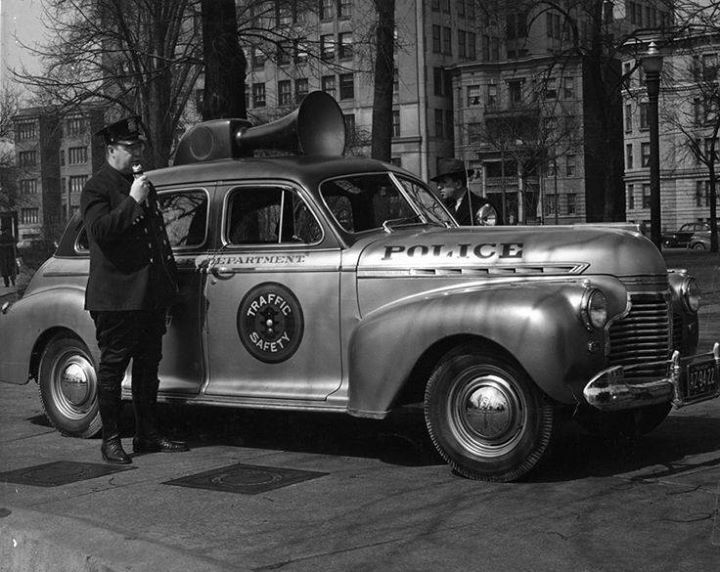 At least, that was their line until I turned up the photograph showing a plainclothes policeman, chasing two black men, with a small round riot shield, marked ‘Police,’ and waving a pick-axe handle. Oops. The experience of the Scarman Inquiry was an eye-opener for me. I had grown up in a sheltered upper middle class suburb of London. Where it never occurred to me that anyone might be unhappy with the police. The Inquiry’s proceedings later informed my approach to a speech I was planning to make to the National Conference of the British Conservative Party in 1986. There is very little that is democratic about the Conservative Party. Least of all how one is chosen to speak at National Conferences. One is picked as a consequence of a year-long process of recommendation and vetting. If you clear that hurdle, you are allowed to speak. If you do well, you get onto a list of people who don’t have to go through quite so much vetting second time. Do well again, new list, even less vetting. And so on. I had managed not to offend too many natives on two occasions. So, I was on the ‘put your name in, you’ll get called, no vetting’ list. Except in 1986, I spoke with Hugh (who had spoken well on six occasions, and was on the exalted list of ‘we will drag you drunk out of a bar to make a speech ‘cos a nutcase just gave an awful speech’ list), I spoke with Hugh and asked him to sponsor me through the vetting process. Don’t need it, Geoff. I probably will, when you know what I want to say. Which is? Well, we have now won two General Elections, we are the natural party of government, we owe it to the electorate to represent everyone, and I want to tell the Conservative Party faithful, in the Law and Order debate, that there are good folk in our inner cities who are more scared of the police than criminals, and we need to do better. But, to his credit, he sponsored me all the way through the process, right up to a very special meeting, the week of the Conference itself. 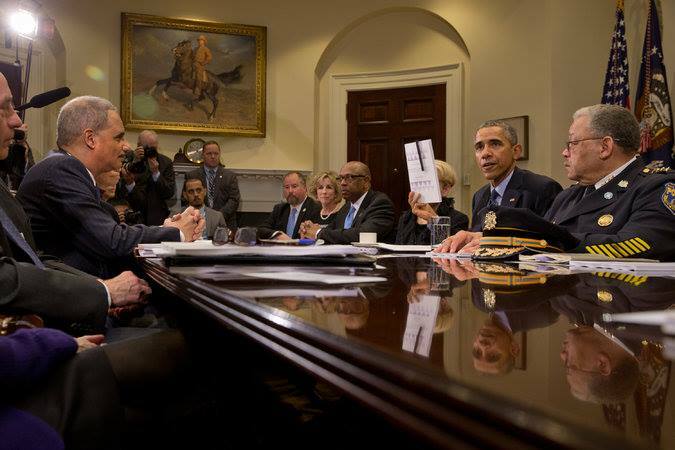 Very special meeting. I was at a reception for one thing or another, in one of the Conference hotels, when I was bustled into a small adjoining room. Five people were present. The Home Secretary, Douglas (now Lord) Hurd, the Chairman of the Party, the Chairman of the Conference, the regional agent for my area and Hugh. Hurd made the running. I understand you want to speak in the debate I will be answering tomorrow? What do you want to say? I told him. He didn’t miss a beat. Well, maybe he paused. There are many people in the Party who feel as you do. But now is not the time. I can’t recommend you say that. But it is up to the Chairman of the Conference. What say you? The Chairman of the Conference offered me a speaking slot in any other debate of my choice. Nope. That debate or nothing. The Chairman of the Party asked if there was some special problem with my speaking in the Law and Order debate. I will never forget what the Chairman of the Conference said in reply. Yes, he said. I have spoken with our security team. Their view is that, if he makes that speech, they do not have enough team members to guarantee his safety from the podium. The Chairman of the Party repeated the offer about another debate. I politely declined. They knew they couldn’t stop me entering my slip to speak in the debate. Hurd looked at the Chairman of the Conference. The Chairman of the Conference looked at the Chairman of the Party. Little nods. Chairman of the Party cleared his throat. We can’t let you speak. But your gesture will not go unnoticed. You will be accompanied to the front of the auditorium by Hugh, acting on behalf of the Home Secretary, and the area agent, acting on behalf of the Party. Those who matter will know you have our support. Even though we can not let you speak. That was the day I grew up politically. It didn’t start with Citizen Design. It began back in 1981 and 1986. The principle is simple: create a space, a forum, an opportunity where elected officials, police and concerned citizens can gather, share their concerns – and here is the important part – develop a process where the group consensually designs the policing approach in the community going forward. This way, the community knows that the policing approach is one that it has designed, police know they have the full support of the community, and trust and comfort is rebuilt. The how is more tricky. Simple. But tricky. It involves time and culture shift. The mechanism already exists. Every single law enforcement agency in this country is funded by an institution run by elected officials. ‘All’ that has to happen is that law enforcement officers accept that, going forward, they no longer design rules of engagement and operation on their own – elected officials now take the lead, aided by law enforcement officers and concerned citizens. I hope this might be of some use to the Task Force.